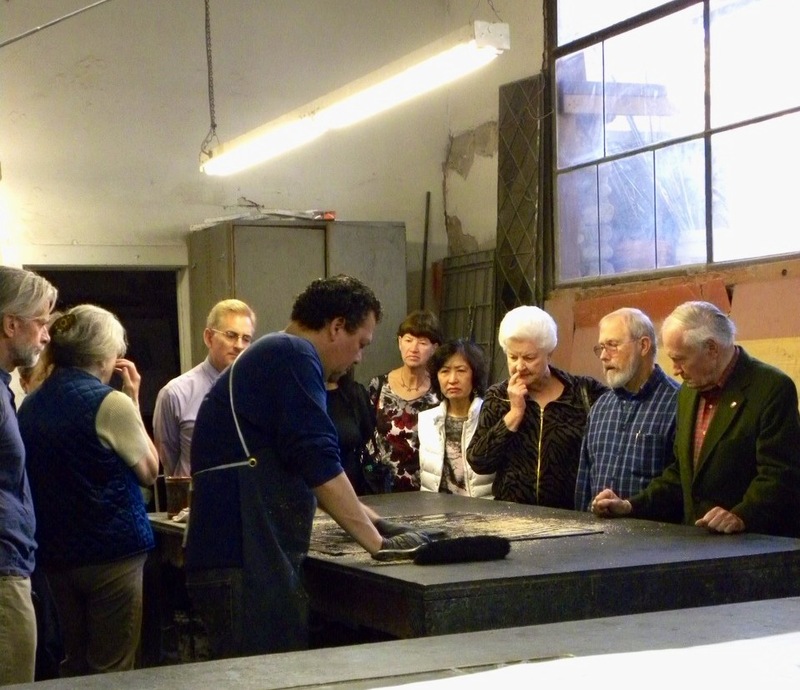 On a beautiful spring morning in early March, two dozen members and friends of Alhambra Preservation Group participated in a private guided tour of the famed Judson Studios in Highland Park. An internationally-famous fine arts studio specializing in stained glass, the Judson Studios building is listed on the National Register of Historic Places and is a designated Los Angeles Historic-Cultural landmark. With more than a century of operation since its establishment by William Lees Judson and three of his sons in 1897, the Judson Studios have produced a remarkable body of work for installation in religious institutions, commercial buildings, and private homes. Examples of their artistry in stained glass can be found throughout Southern California and the United States, including: the rotunda skylight at the Museum of Natural History in Los Angeles; Hollyhock House in Barnsdall Park and Ennis House in Los Angeles, both buildings designed by Frank Lloyd Wright; St. James Episcopal Church in South Pasadena; All Saints Episcopal Church in Pasadena; the U.S. Air Force Academy Cadet Chapel in Colorado Springs; and the Stanford Court Hotel on Nob Hill in San Francisco. Although a local survey of their work has never been attempted, it is more than likely that a few Judson stained glass windows still exist on display in private homes in Alhambra. 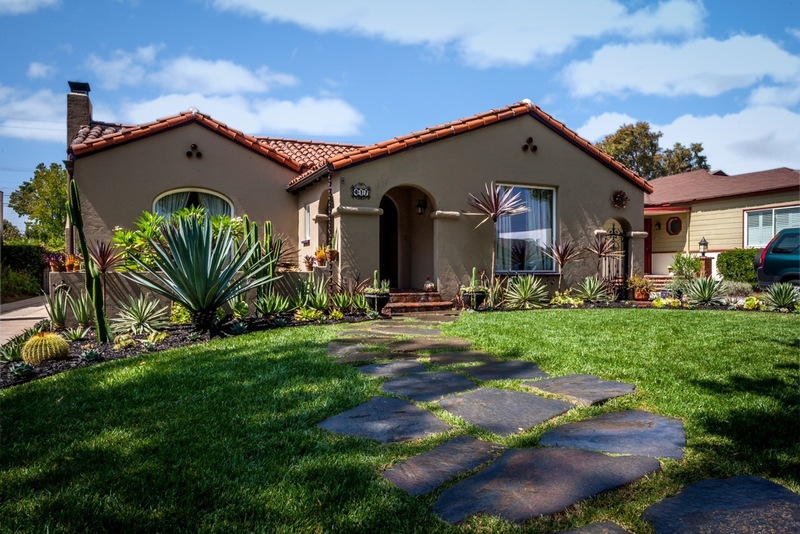 Two of the Judson brothers who originally established the family-run business in the early 20th Century and worked as artists and designers also built their own homes in Alhambra and raised families here. These two Alhambra bungalows still stand, on North Electric and North Marguerita Avenues, and many of the neighboring homes built during that same period also feature stained glass windows worthy of notice and attention. Photo courtesy of Debra Boudreau.